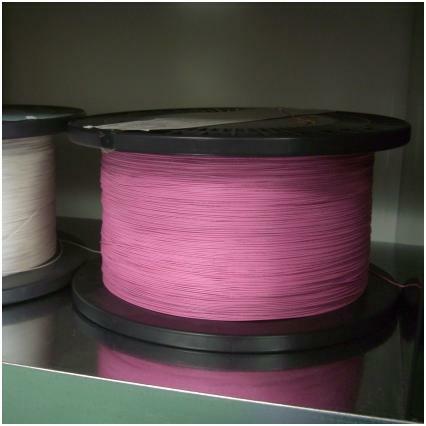 Pink High voltage 28# thin wire by the meter [Pink High voltage 28# thin wire] - £1.95 : Backlightweb (Deltablue ltd) CCFL, backlights, bulbs, and special order special shaped bulbs!, shipped worldwide, Nothing custom is to much work for us. This wire have a 3KV rating. This wire should be used for the hot lead side (HV) of your CCFL harness.